With all the Fight in her Heart. She Will. Sting ECNL Dallas Finishes Top of the Table in Conference Play and Sends Five teams for a National Championship Run! Sting North 11 Shepard - New Years Eve Champs! Sting North 03 - Wilson Round Rock Open Champions! Sting JDL Dallas 05 Diaz Undefeated U14 Champions of THE ROCK! Sting Dallas 05 Diaz - WAGS U13 Champions! Sting Central 04 - Cuevas Back to Back Beat the Heat Champs!!! Sting Central 03 - Cuevas Beat the Heat Gold Division Finalist! Sting Little Stingers 11 - Shepard - Summer Splash Champs!! Sting North 03 Larry - Beat the Heat Gold Div. Champions!!! Sting 06 Black - Gutierrez Defend Title at Surf Cup!!! Little Stingers - Shepard Texas Regional Winners 3v3 - Next Stop TENNESSEE! Little Stingers '11 - Kick it Live 3v3 Champions! Sting Dallas 08 Weigelt - Arousa Champions! Sting West 03 Khan - Real Colorado Cup Champions! Sting North 01 Larry - Real Colorado Showcase Champions! Sting West 01 Wombough - Colorado Cup and Showcase Champs! Sting North 03 Larry - Real Colorado Cup Champions! Sting North 04 Glotzbach - League Challenge Cup Gold Division Champs! Sting NM 03 Elite - State Cup Champions! Sting North 07 Larry - Legends Invitational Tournament Champions! Sting North 03 Larry - League Challenge Cup Champions! Sting Dallas 06 - Glotzbach Primetime Summer Classic Gold Division Champions! 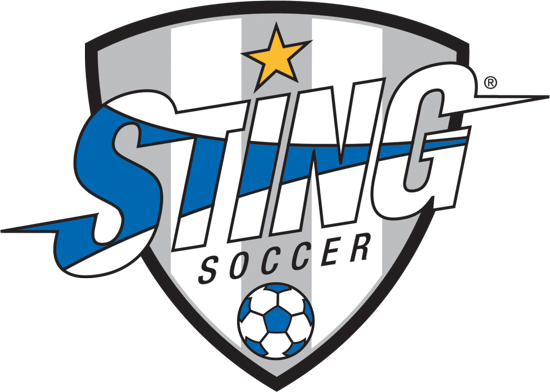 The Sting Soccer Organization is pleased to announce that Sting Austin has received acceptance into the top female youth development platform in the world, the Elite Clubs National League (ECNL). Sting East Academy 2010 Shepard - Tulsa Lexus Cup Champs! Sting East 03 - Dunstan LH Round Up u14 Gold Division Champs! Sting NM 03 Elite - Dyche Wins PDT Championship in Phoenix! Sting Dallas 06 Glotzbach - Spring Roundup Finalists! Sting Dallas 05 Guzman - Austin Texans Warmup u13 Champions! Sting Central 05 Cuevas - SA United for Hope Champs! Sting Central 06 Patulea - Spring Round Up Silver Div. Champs!! Sting West 04 Robles - Spring Kickoff Champs! Sting East 04 Singleton - Spring Kickoff Champs!!! Sting North 03 Larry - Spring Kickoff Champs!! Sting North 05 Shepard - California Awareness Cup Champions!! Sting West 04 Rigsby Round Rock Open Champs! Sting North 01 Larry Florida Winter Cup Champions! Sting East 01 Advances to USYSA Region III Championships! Sting North 04 Makanani U90c Challenge Cup Classic Division Champions! Sting North 03 Larry - NTFC Fall Challenge Champions! Sting 03 Composite girls at the Alamo!! Sting Austin 01 - u16 Labor Day Champs! Sting North 02 Larry - Plano Labor Day Champions! Sting Central 02 Cuevas Beat the Heat Champions! Sting Central 04 - Cuevas Beat the Heat Champs! Sting Dallas 05 Diaz SuperCopaG Champions! Sting San Antonio 00 - McCarter Win's Group and Advances at Presidents Cup Regionals!!! Sting West 04 Guerra - Premier Copa Champions!! !